When Dr Olivia Pozzan woke up with an agonisingly painful right ear, she assumed it was a lingering effect of the sinusitis that she had been suffering for some time. That right ear had always given Dr Pozzan trouble. She’d had several surgical operations on it as a teenager to address a non-cancerous middle-ear growth called a cholesteatoma. The ordeal had left her completely deaf in that ear, and prone to a build-up of wax which needed to be removed regularly by an ENT specialist. 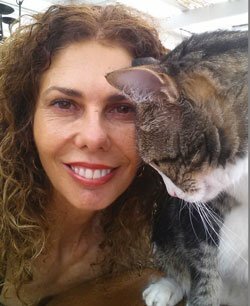 So, in late 2018 when the Sunshine Coast-based veterinarian felt the throbbing in her ear, she gulped down a dose of anti-inflammatory pain relief and just got on with it. But eight days later, the right side of her face drooped, she couldn’t move her muscles, and suddenly the world seemed to be spinning. Nausea and violent vomiting took hold, and even walking without stumbling was a challenge. An avid traveller and hiker, Dr Pozzan knew this was much more than just severe sinusitis. 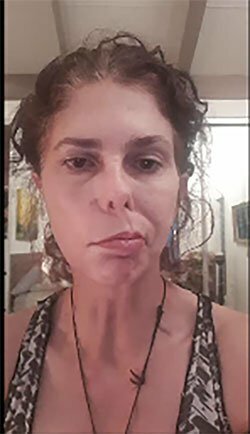 In the hospital, Dr Pozzan received a battery of tests while she tried to focus her eyes and clear the brain fog that had set in. Neurological exams, MRI, CT scans, blood tests and otoscopic examinations by six different doctors all failed to nail a definitive diagnosis. The emerging tentative diagnosis was Ramsay Hunt syndrome, a complication of the viral disease shingles, which leads to facial nerve paralysis. It was the seventh doctor, an ENT specialist, who finally cleared the right ear of wax and looked again. What he saw was a familiar sight to many Australian veterinarians while treating their animal patients: a fully engorged paralysis tick. The tick, which normally causes paralysis in domestic animals, had lodged in Dr Pozzan’s right ear canal, its movements inaudible due to her deafness in that ear. In its protected position, the parasite had attached itself and begun to feed, injecting a neurotoxin over 12 days at doses which likely would have killed a dog or cat. This mechanism certainly explained Dr Pozzan’s symptoms, particularly with respect to where the tick was located. 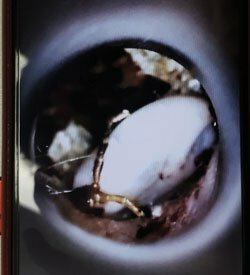 The paralysis tick was, astoundingly, engorged to over one centimetre in length when it was removed from Dr Pozzan’s ear canal. The administration of tick anti-toxin serum is an important component of the treatment protocol for tick paralysis in dogs and cats. In humans, the high risk of anaphylactic reaction to anti-toxin serum precludes its use. Instead, affected humans are treated with careful supportive care as determined by the symptoms. 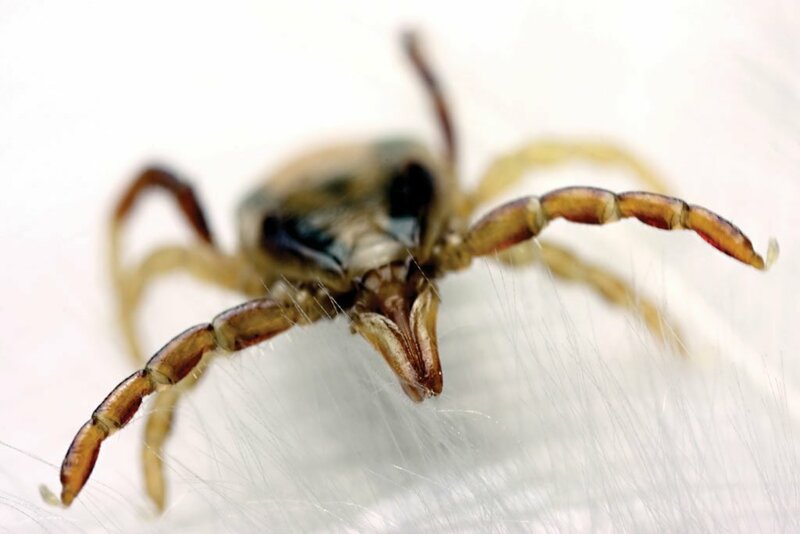 Dr Pozzan, who has removed many engorged paralysis ticks from her patients over three decades in veterinary practice, had already performed a tick search of her own scalp while doctors around her discussed diagnoses more common to humans. When the neurotoxin-injecting parasite was found after numerous otoscopic examinations, the RSPCA veterinarian watched as the squirming creature was killed with an injection of phenol, then carefully removed from her ear canal. It was a dubious pleasure to behold, and one that would lead to her full recovery six weeks later. “It was the grossest, ugliest, and yet most welcome sights I have ever seen,” Dr Pozzan says, her smile no longer lopsided.